Some 40 or 50 years ago here in America, people decorated their Christmas trees on Christmas Eve. Slowly, through the influence of merchants and media, we started to put up our decorations and trees earlier and earlier each year. As a result, we take them down earlier and earlier, not waiting for the Theophany observances of January 5-7 [January 18-20], which are specifically part of the 12-day cycle beginning on Christmas. The Advent Season, which began for us on November 15/28, is a time for anticipating the “Good News” of the Lord’s Birth. As with all things in life, Scripture reminds us that we must be careful of being “in the world, but not of the world”. This is especially true of the celebration of Christmas. 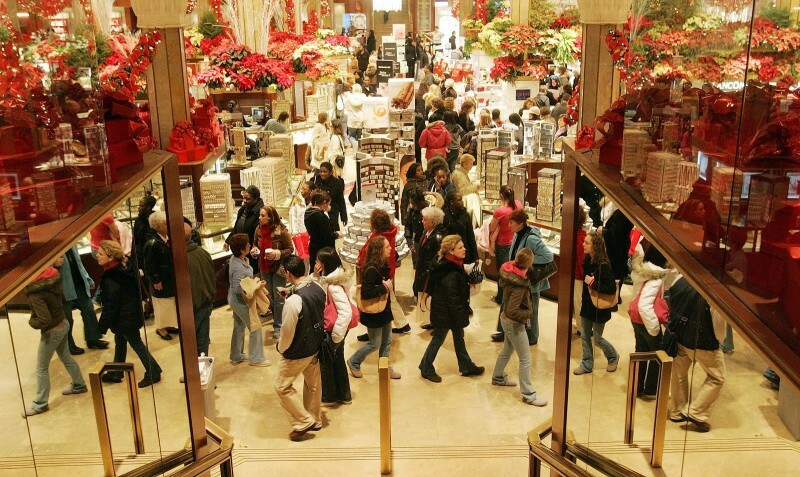 Many lament that the stores are decorated for Christmas from the end of October – an example of the over-stressing and “early-stressing” of this great Christian Holy Day. But what do we do in our homes? I have noticed that on the Friday and Saturday after Thanksgiving, people begin to put up their decorations and turn on their Christmas lights and trees. Our Orthodox Advent tradition gives us some guidelines of which many of us perhaps are not aware. Within this 40-day preparation period, a slow progression of events and remembrances unfolds. This is seen in the general attitude, hymnology, prayers, and fasting practices which begin to intensify on the Feast of St. Nicholas (December 6/19), and progress through the feasts of St. Spyridon (December 12/25), St. Daniel (December 17/30) and St. Ignatios (December 20/Jan-uary 2). The latter is specifically called “the day of preparation”. What do you think this tells us? Add to this the tradition of the “Twelve Days of Christmas” that begins on Christmas Day, and runs to January 5/18, the day before Theophany, the next great feast. The ‘food fast’ is most intense on the 12 days preceding December 25/January 7, and there is no fasting on the 12 days after Christmas, not on Wednesday or Friday! Again, what do you think this tells us? It is interesting to note that historically we do not have an exact date of Jesus birth. The date of His Nativity was specifically selected by the early Church to coincide with the pagan celebrations held in late December, They were rather riotous and foolish in nature, not becoming of a follower of Christ. Thus this date had a duel purpose: (1) to mark the Lord’s coming to earth in human form, and (2) to do it at a time which would help defeat an attitude and lifestyle which went against the Lord’s teachings. The early Church leaders knew that these Christians struggled with the temptation to return to their former ways. Once again, what would you think this tells us? The Orthodox tradition is clearly not to “pre-celebrate” Christmas, but rather to withhold the celebration until the designated time. Once it arrives, we are to celebrate it joyously, not with over riotous activity as did the pagans. Some 40 or 50 years ago here in America, people decorated their Christmas trees on Christmas Eve. Slowly, through the influence of merchants and media, we started to put up our decorations and trees earlier and earlier each year. As a result, we take them down earlier and earlier, not waiting for the Theophany observances of January 5-7 [January 18-20], which are specifically part of the 12-day cycle beginning on Christmas. Every year there are more and more parties held during the height of the Christmas Fast, instead of during the festive period of December 25-January 5 [January 7-18]. On the day after Christmas we hear people say that Christmas is over, and the Christmas trees are out on the curb. Since they have pre-decorated and pre-celebrated and feasted, in their minds “it’s over”, when really it should just be beginning. Do decorate, but don’t pre-decorate. Use the December 6-20 [December 19-January 2] guide as a starting point. Do celebrate, but don’t pre-celebrate. Use the December 25-January 5 [January 7-18] time -frame for your festivities. The Scriptures instruct us: “In all things be not like the pagans, but rather calm, joyful in praise and giving of love to glorify Christ who came for us.” Since we Christians are called to be “in the world, but not of the world”, we are to transform the world and not have the secular world transform us. Secularism has crept into our Christmas observances. It is up to us as individuals to purify the celebration. This begins with our families, our households, doing the more proper and fitting things and teaching others to do likewise by example. I urge you to plan for a Christmas observance that will hold true to our Orthodox view and pattern for celebration. Fr. Andrew George is the pastor of Annunciation Greek Orthodox Church in Cranston, Rhode Island.